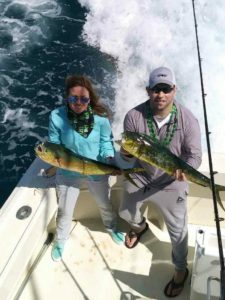 As we finish up our 3rd week of March we are experiencing record heat during our fishing charters in Fort Lauderdale with the temperature reaching 89 today. Certainly warm for late March and an early welcome for Spring. Hard to believe Spring is already upon us as our Winter here was very mild once again. It was a pleasant 89 though with a nice breeze taking the edge off. More of the same record breaking heat in the forecast for tomorrow as well and then we’ll get a front and some lower temperatures. 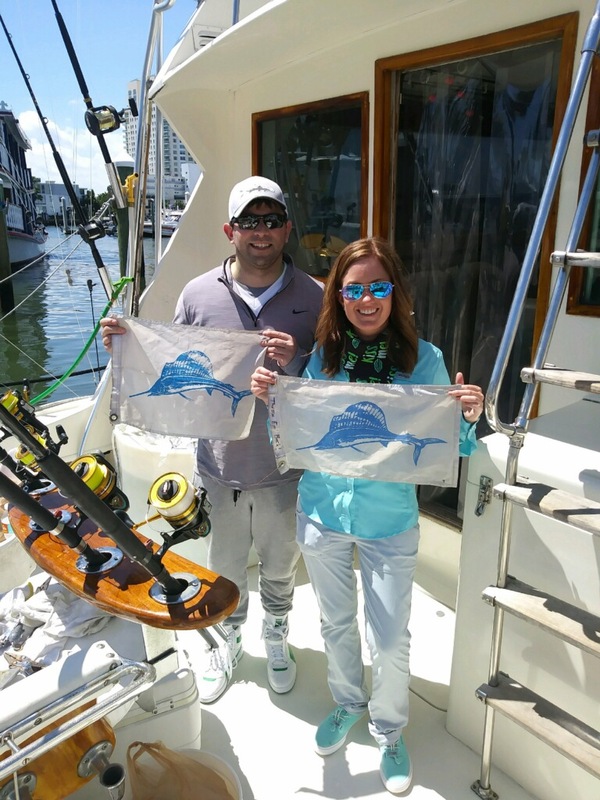 But we have had some good fish here aboard the Marlin my Darlin. 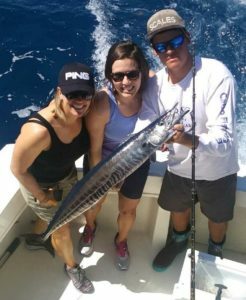 Some good Jacks showing and that big Amberjack in the photo took a jumbo live Blue Runner off the top of a wreck in 220 feet of water. 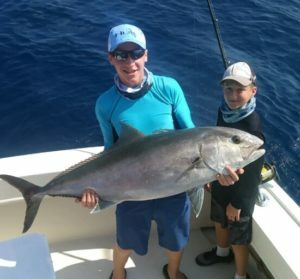 Jacks that size are a handful and they aren’t nicknamed “ Reef Donkeys” for any other reason in that they can really pull. Early in the season for a Jack that big in size to be on a wreck here.